CityTV is the government community cable channel for the City of Santa Monica. It is funded, programmed and operated by the City of Santa Monica. The channel is available to every cable television subscriber within the City of Santa Monica and reaches approximately 24,000 households. WHERE SANTA MONICA LIVES: CityTV's flagship station provides live coverage of public meetings, news, series, live call-in programming and more! To learn more about what's happening in Santa Monica, watch CityTV! 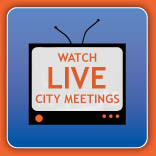 The County of Los Angeles Cable Channel features live and replayed coverage of the Los Angeles County Board of Supervisors meetings as well as other County-related programs. In addition, Experience LA provides listings of events happening in the LA area for you, your friends and your family to check out! CityTV's newest channel is dedicated to Lifelong Learning! From gardening, exercise, cooking, crafts and more, there is something new for everyone to learn on Forté! Community events and community services are featured 24 hours per day on CityTV's graphic bulletin board service.